Subscribing to Sabrina’s e-newsletter lets you be one of the first to find out all the hottest details on your favorite novels and other exciting updates. Sabrina Jeffries showers one lucky winner with gifts galore this month. Enter to win autographed copies of her splendid Royal Brotherhood series (IN THE PRINCE’S BED, TO PLEASURE A PRINCE and ONE NIGHT WITH A PRINCE), a hot pink makeup bag, adorable heart-shaped trinket box, and Jane Austen lace socks. Even before the Regency, house renovation was becoming quite the thing. Horace Walpole took a nondescript cottage and redid it from the ground up to make it into the Gothic Revival villa Strawberry Hill. 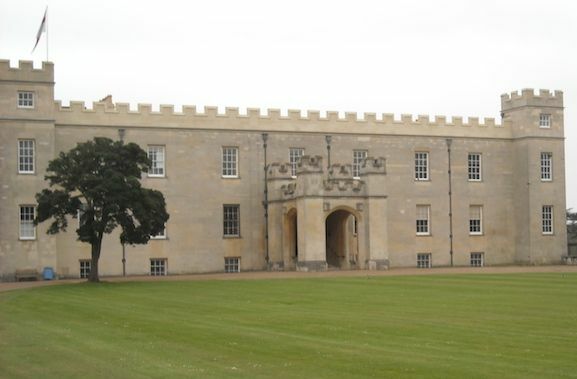 Some time after him, the first Duke of Northumberland renovated Syon House, but couldn’t finish because he ran out of money. You’d never be able to tell to look at it (yes, I’ve visited it; it’s lovely). copyright © 2019 Sabrina Jeffries. all rights reserved.